The end of the year is just around the corner and we’ve got your back. Literally! Get a teacher shirt that’ll keep you cool on the last day of school and make your last day getting ready in the morning easy. This is our newest design featuring our most popular font in bold, fun colors. 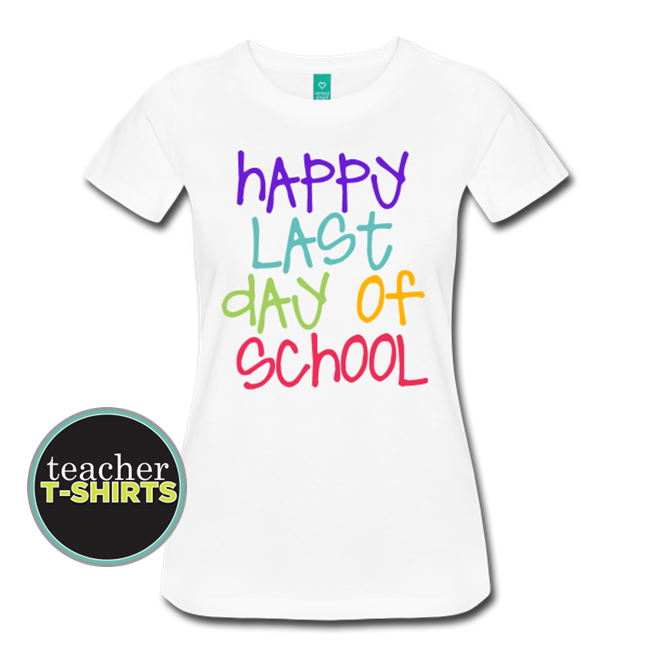 This digital print design says, “Happy Last Day of School.” Cute teacher shirt with modern design and super colorful! 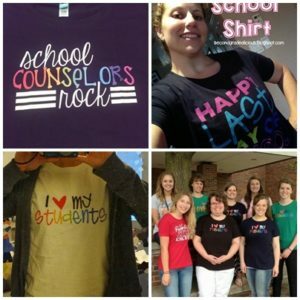 This premium women’s shirt for teachers is extra soft, wonderfully flattering and a little longer in length than the regular women’s tee.